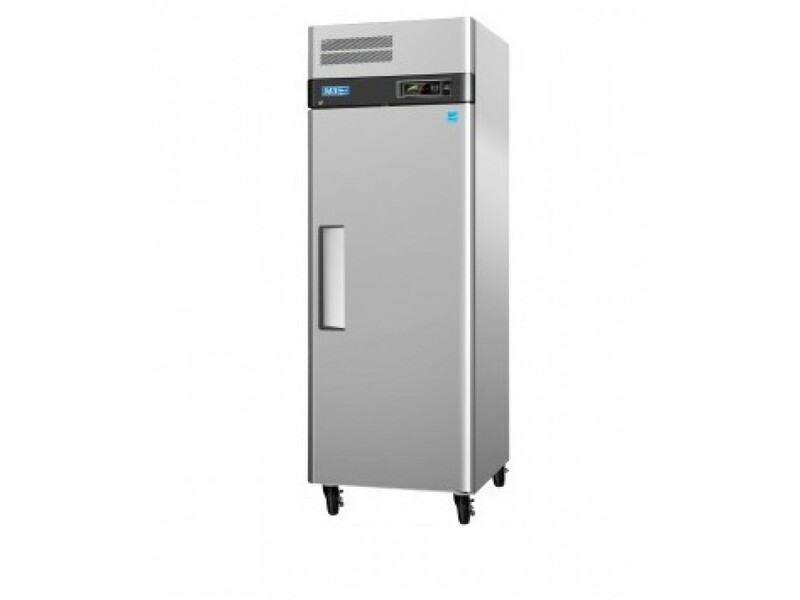 Turbo Air M3R24-1 M3 Series 29" Reach-In Solid Door Refrigerator | Brittania Food Equipment Ltd. 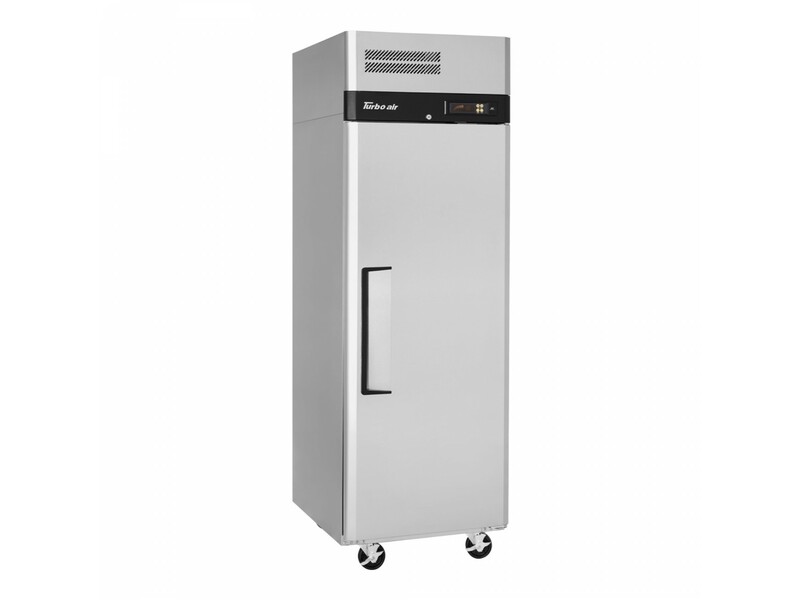 This 29" Reach-In Solid Door Refrigerator - M3 Series (M3R24-1) from Turbo Air is a wonderful addition to your commercial kitchen. It features stainless steel construction and has one full size swing door. The door is ergonomically designed to ease user fatigue and has a self-closing feature. Three internal adjustable shelves can hold a great quantity of your kitchen's essentials. The shelves are made from heavy-duty polyethylene-coated wires. The refrigerator holds 33 degrees F to 38 degrees F for the best in food preservation. You will be overall satisfied by this unit. Legs available for this model.